Our two bedroom suite is ideal for family and friends. When you open the door you’ll be impressed by the full size kitchen, dining area for up to six people, and the spacious and comfortable sitting area with flat screen TV/DVD above the gas fireplace. There are the two private bedrooms with full bathrooms on opposite sides of the suite. Each bedroom has a king size bed. The queen size sleeper sofa in the sitting area can be opened to sleep two more people for a total of six guests. Step out on the private deck which spans the entire unit. 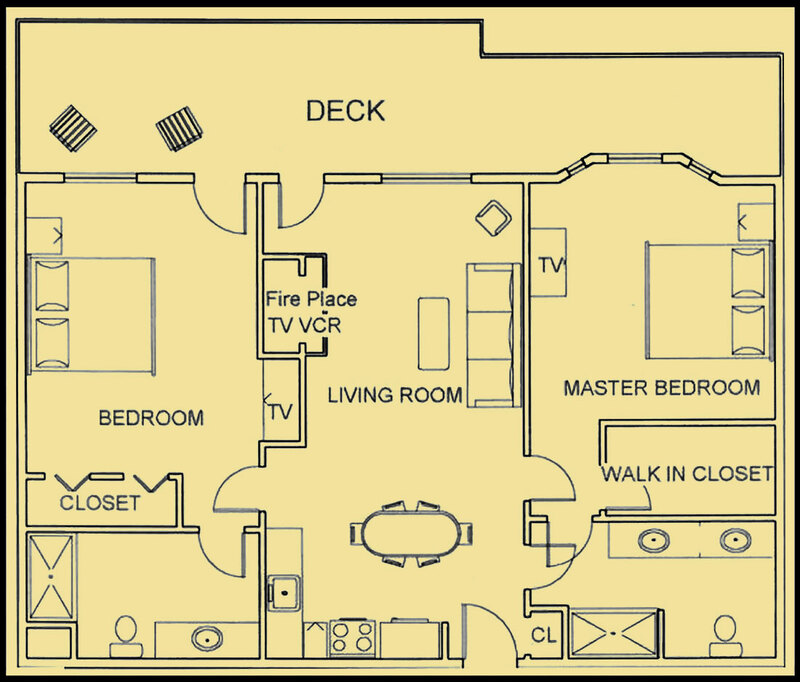 There is only one two bedroom suite, so plan ahead to reserve this special unit.